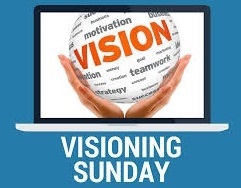 I invite you to a joint Oberlin/Olmsted UU Visioning Retreat for Transforming Sunday Services, Saturday, June 10, 10-3 p.m. at Lewis House & Multifaith Center, Oberlin College, 68 S. Professor St., Oberiln. Claire Ramsay, Katie Cross, Mary Melaragno and I attended an inspiring workshop and will share techniques for creating Sunday morning experiences that touch us and teach us – across all learning styles – and deepen self-awareness and connections to each other. Would you help transform Sunday morning? Please come. Your presence, imagination, good energy and experience will be greatly welcome and appreciated. Yes, this is a potluck. Bring something to share for lunch.